We have worked with Jennie and Archiplicity over the years and have always been impressed by their ability to listen to their clients needs and create the home their clients have envisioned. 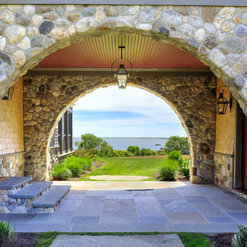 Their beautifully designed shingle style homes are a joy to build. 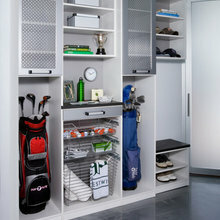 Archiplicity is one of my favorite Architects to work with on my remodeling projects. Jenny is efficient, professional and most of all reliable in the field of design. 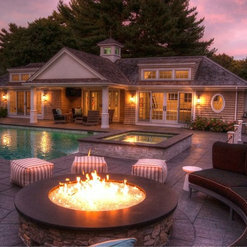 Sticks & Stones has worked with Archiplicity on several projects, my favorite has to be the pool house!! I will recommend Jenny on any project with my clients and will use her when I am ready to build my dream house. 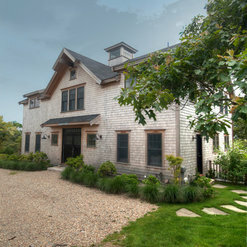 We have been living in the Nantucket Barn House for 3 years now, and love it. The spaces work. The design is clean and pleasing to the eye. Jenny really listened to us and designed a house for how we live. She was very responsive during design and was a problem-solver during construction. Its my pleasure to recommend ArchiPlicity, and I do all the time. I have used the services of Jennifer Drain from Archiplicity from a simple analysis for a beam installation to a full set of house plans for a custom home and everything in between. I am a real estate investor and time is critical and Jenny recognizes that and works to complete things in our time frames needed. She stands behind her work and collaborates with our team to see through the project. 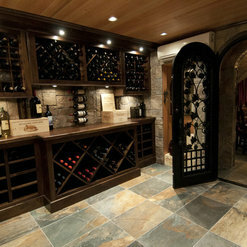 Thank you for taking the time to review ArchiPlicity on Houzz. It is pleasure working on your projects. The team you have established makes it a great experience to collaborate towards the best product possible. I look forward to continued business together in the future. We have worked on numerous, high end residential construction projects with Jenny over a period of 10 years, both as contractors and homeowners. 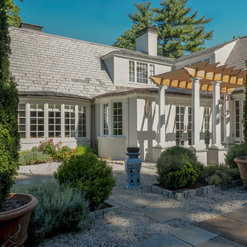 Our projects have been mostly shingle style designs which Jenny has an incredible inclination for. Her sense of space and proportion is one of her greatest assets and the finished products always draw the highest praise. Jenny is organized, easy to work with, and has a great sense of humor. Thank you for your review. I enjoy working with you and the team of professionals that you have put together. The projects always bring a wonderful design challenge. Your attention to detail and craftsmanship always make each projects better. I appreciate your thoughtful words and the time you took to put this together. Jennifer is a very talented architectural designer. We have had many projects ranging from small spacial designs to the complete renovation of an 1857 firehouse. We trust Jenn to come up with innovative designs in keeping with the character of each structure. We have also found Archiplicity to be very easy to work with. Jenn really listens to us and pays attention to the details that are important to us. Working with Archiplicity is a pleasure and we do so again and again. Thank you for taking the time to write this review. GC Properties continues to bring forth interesting and challenging projects that I enjoy collaborating on. I appreciate your the business you bring to my company and the team of professionals that are easy to collaborate with toward the best end product. Archiplicity is a service oriented company with a terrific design sense. Jennifer is a perfect compliment to our design~build offering and always a pleasure to work with. 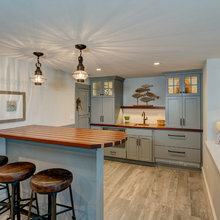 We are a Builder/Remodeler who have had the opportunity to collaborate with Jenny Drain of ArchiPlicity on a number of projects. 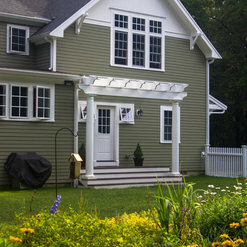 Being that we have worked with a large number of architects over the course of our 22+ years in business we are able to quickly discern the true professionals who will work best with our clients and our team. From the first project we worked on with Jenny to each subsequent interaction with her we are increasingly impressed with her design aesthetic, attention to detail and ability to "see the big picture". 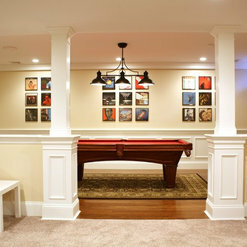 She offers valuable suggestions and is able to collaborate well with both us and the homeowner throughout construction. This makes for a much smoother overall process. We receive only positive feedback from our clients, some of which have returned to ArchiPlicity for subsequent projects after the success of their first. We have also referred a number of clients to her and will continue to do so. Thank you for your review. Thorson Restoration & Construction is a company that creates an impeccable end product and always makes my designs resonate stronger from paper to built product. With the capable and talented team that you have working for you it is easy to refer you for and work with you on any project. Jennifer Drain from Archiplicity was fantastic to work with for our new house design and construction project on Nantucket. She designed a layout that works for the way we live but also has a nice flow and interesting design. The exterior is stunning to look at and really captured the look we wanted, even with tight regulatory restrictions. 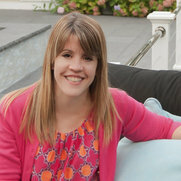 As our project progressed, Jenny was a great problem-solver and budget-saver. She provided great customer service and creative solutions at every step. I'm so glad we took her advice on so many decisions. I would recommend her to anyone looking for a talented designerd who is reasonably priced and responsive to her clients. Thank you for your thoughtful review. Your project was very enjoyable to work. The design challenges presented and you attention to the details in your home helped to make the project better and allowed me to establish creative solutions to accomplish the desired design. As a couple both your interior design aesthetics and your knowledge of the area in which your building was being constructed helped to accomplish a fabulous end product. Commented: can you tell me what is on the ceiling? 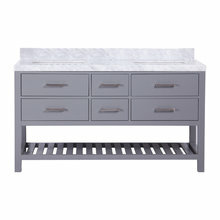 ThanksThe countertop around the perimeter I believe is soapstone. The center island counter I believe is quartz countertop. Commented: Beautiful choices! What color and brand of paint is used on the wall?Thank you. I designed the building &amp; selected fixtures but the interior color choices were handled through the home owner/interior designer. I'm sorry but I don't know the answer.